Several Truman alumni will be recognized in the Alumni and Friends Celebration Program during the 2010 Homecoming. Larry Quisenberry and Sharron (Bailey) Quisenberry will be honored as Alumni of the Year. Larry and Sharron look back on the solid educational foundation they received at Truman as a springboard to their distinguished careers in higher education. Larry serves as program coordinator reporting to the executive vice president and provost at Iowa State University. His responsibilities include providing funding opportunities for university researchers and disseminating information to ensure grant competitiveness. Larry has served as a high school administrator in four Missouri public schools, held administrative positions at five universities and served as an accountant for the U.S. House of Representatives in Washington, D.C. He graduated from Truman with a Bachelor of Science degree in business education in 1966 and a Master of Arts degree in 1975 in secondary school administration. He earned his doctorate degree in 1978 in general school administration with support areas of study in higher and adult education and accounting from the University of Missouri-Columbia. Sharron is the vice president for research and economic development at Iowa State University. She served five and half years as dean of the College of Agriculture and Life Sciences at Virginia Tech, four years as dean of the College of Agriculture and director of the Montana Experiment Station at Montana State University, and eight years in department-level administration prior to coming to Iowa State University. Sharon is recognized nationally and internationally for her work in host plant resistance to insects and insect-plant interactions. With a colleague, she co-authored a seminal book on conservation of germplasm for insect resistance that is widely used. Sharron is a fellow of the Entomological Society of America and served as president of the Society in 2000. She has served on the National Academy of Sciences’ Board on Agriculture and Natural Resources and on the Board for International Food and Agriculture Development. She is also a member of the Truman Foundation Board of Directors and serves on the Development Committee. Sharron received a Bachelor of Science Education degree in biology from Truman in 1966 and a Master of Arts degree in environmental biology from Hood College. She earned a Master of Science degree and doctorate degree in entomology from the University of Missouri-Columbia. While students at Truman, both Sharron and Larry were active in several organizations including the Student National Education Association and the Baptist Student Union Center. Sharron was a member of Delta Zeta social sorority and Larry was a member of Alpha Kappa Lambda social fraternity. 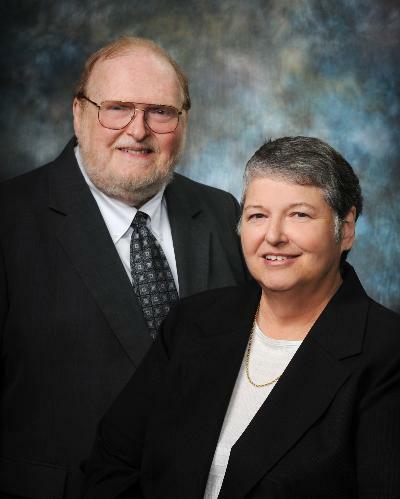 Sharron and Larry are members of Truman’s Joseph Baldwin Society, the John R. Kirk Society and the Iowa Alumni Chapter. They also serve as members of the “Bright Minds Bright Futures” Iowa Regional Campaign Committee. The Quisenberrys have provided a legacy gift through their estate to create the Larry and Sharron Quisenberry Scholarship in Business and Science. The 2010 Young Alumni of the Year are Alice (Moore) Arredondo and Rudy Arredondo. Alice serves as the assistant dean for admissions and recruitment at the University of Missouri—Kansas City School of Medicine, and Rudy works as an attorney in private practice. Both graduated in 2002, Alice with degrees in English and communication studies, and Rudy with a degree in chemistry. Both followed with graduate study at the University of Kansas. While at Truman, Alice was a member of Tau Lambda Sigma service sorority, Student Alumni Council and Sigma Kappa social sorority. She also held several leadership positions within the Student Activities Board and served as chair of the Homecoming Committee in 2000. During his time at Truman, Rudy was an active member of Sigma Lambda Beta fraternity, Blue Key honor society and Alpha Chi Sigma chemistry fraternity. He also participated in the Jefferson City Internship Program and served as the student representative to the University’s Board of Governors. Alice earned her master’s degree in higher education administration in 2004 and is currently pursuing a Ph.D. in educational leadership and policy studies, also at the University of Kansas. She maintains membership in the Missouri Association of College Admissions Counseling, the National Association of College Admissions Counseling and the Truman Kansas City Alumni Chapter, where she serves as president. Rudy earned his law degree from the University of Kansas in 2005. He serves on the Board of Directors for the Center for Developmentally Disabled in Kansas City and has been active in the Truman Kansas City Alumni Chapter, serving as treasurer for the past several years. Alice and Rudy reside in Kansas City with their two-year-old daughter, Avery, and dog, Quincy. Receiving a 2010 Distinguished Service Award is Jeannette (Toth) Harris. Jeannette and her twin sister Geraldine enrolled at Northeast Missouri State Teachers College in 1965. They waited tables at the White Cabin Restaurant and served meals in Missouri Hall to earn money for their education. Jeannette also worked as an assistant in the Home Economics Department for Rose Shanight and Dorothy Pearson. Midway through their junior year, the twins were out of funds and had to leave school to find gainful employment. Armed with 60 hours of college credit, Jeannette landed her first teaching position at Sacred Heart Elementary School in Troy, Mo., in August 1968. Realizing that one twin would have to support the other to finish college, Jeannette sent Geraldine back to school. After Geraldine graduated from the University with a degree in business administration and minor in economics, Jeannette spent the next year working in Science Hall for John D. Black and finishing her Bachelor of Science degree in vocational home economics. Jeannette graduated with her Bachelor of Science Education degree in August of 1971. Jeannette’s teaching career took her to the Keytesville School District in Keytesville, Mo., where she taught four years of vocational home economics. During those years, she was active in the Missouri State Teachers Association and the Missouri Vocational Home Economics Association. 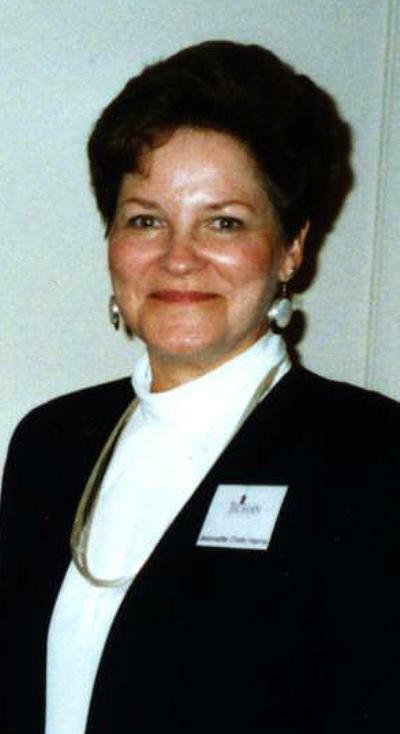 In 1975, Jeannette went to the Mendon Northwest School District to teach and also began working on her master’s degree in elementary education from Northeast Missouri State University. Upon completion of her master’s in 1978, she taught for three years at the elementary school in the Francis Howell School District in St. Charles County, Mo. Jeannette moved to the Fort Zumwalt School District in O’Fallon, Mo., in 1980, where she taught until June 2001. During Jeannette’s years at Fort Zumwalt, she was active in the Missouri National Education Association and the National Education Association. She served five years on the Missouri-NEA State Board of Directors and was a delegate to the NEA National Convention for four years. In 2004, Jeannette joined the staff at St. Charles Community College (SCCC), where she teaches classes for pre-service teachers. Jeannette also serves on the Education Advisory Board at SCCC. Jeannette and her husband Jim, a 1977 Truman graduate, reside in O’Fallon. In 2003, she joined the Truman Alumni Association Board of Directors and served for six years. In 2007, she accepted the secretary’s duties for Truman’s St. Louis Alumni Chapter, where she has worked tirelessly to promote the annual St. Louis Chapter Scholarship Golf Scramble, as well as other fundraising projects. Jeannette is also serving as the St. Louis chairperson for the “Bright Minds Bright Futures” campaign and has recently been named to the Truman Foundation Board. Jeannette and Jim have two children, Steven Michael Harris and Karen Virginia (Harris) LeFors, who are both accomplished high school teachers and coaches. Jeannette has returned to Kirksville 12 out of the last 14 years for Truman’s Homecoming. David C. Nichols and Debra (Fortenberry) Nichols will also receive a 2010 Distinguished Service Award. Both have long-standing connections to Truman. David joined the Truman music faculty in 1966, first as a professor of music and later as director of the graduate program in music. Trained as a historical musicologist with a Ph.D. from Indiana University, he has been active as a teacher, writer, conductor and clarinetist/saxophonist throughout his career. Although working directly with students was his premier passion, David also served on many faculty committees, including the faculty senate, the undergraduate council, the graduate council and the council for teacher education. At Truman, David enjoyed an eclectic combination of musical activities including teaching classes, coaching ensembles, working with student research and writing projects, teaching in the studio and conducting. He served as interim conductor of the Truman Symphony Orchestra and conductor of the woodwind choir and of musical theatre productions. David’s music history and appreciation textbook, “Musical Encounters” is reflective both of his historical perspective and his intense interest in communicating the joys of music to students of the liberal arts. Subsequent to his retirement, David wrote “Founding the Future: A History of Truman State University,” which traces the University’s path as it evolved from a small, regional teachers college to a nationally recognized, highly selective liberal arts institution. He then designed content and exhibits for the Ruth W. Towne Museum and Visitors Center. David is currently a member of the “Bright Minds Bright Futures” campaign Steering Committee. David’s civic leadership positions throughout the years include presidencies of the Kirksville Arts League, Faith Lutheran Church of Kirksville, the Kirksville Salvation Army Advisory Board, the Kirksville Rotary Club and Hospice of Northeast Missouri. He conducted the Faith Lutheran church choir for more than 20 years and, until recently, conducted the Kirksville Community Chorus. He is currently serving on the board of directors and trust board for the Missouri Arts Council and is also on the executive board of the Missouri Association of Community Arts Agencies. Debra graduated with honors from Northeast Missouri State University in 1980 and began her career as a music teacher and trumpet performer. After teaching in Hannibal Public Schools and being a stay-at-home mom for her daughter Lauren’s formative years, Debra returned to Truman in the mid-1990s and completed a master’s degree in trumpet performance. While at Truman, Debra taught a perspectives of music class as a graduate assistant. She then spent several years as an adjunct faculty member at Culver-Stockton College, where she taught private brass lessons and music appreciation classes. She was a longtime member of the Quincy Symphony Orchestra and also performed with the Truman Faculty Brass Quintet, the Mississippi River Brass Band and the Missouri Brass Consortium. She is currently in her fourth term as a member of the Hannibal Arts Council Board of Directors, serving as treasurer. 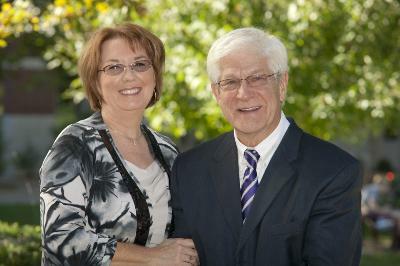 Although David is officially retired from Truman, both he and Debra are active members of the greater Truman community. David’s work on the history of the University and on the exhibits for the Ruth W. Towne Museum and Visitors Center was enhanced by Debra’s contributions as editor to both projects. Her talent for editing—discovered during her graduate years at Truman—has now blossomed into a full-time business. She edits college textbooks for major publishers, including books on music, history, sociology, communication, law enforcement and psychology. The Nichols’ recent interests in serving Truman are directed toward philanthropy and fundraising. In 2005, David and Debra endowed a music scholarship in high brass for entering freshman students at Truman. They have recently begun a fundraising project in conjunction with the “Bright Minds Bright Future” campaign named the Dr. David C. Nichols Excellence in Music Fund. This was established with the challenge that they will match donations up to $20,000, which will go toward providing financial support to student initiatives in music. Currently, David and Debra are enjoying watching Lauren experience her first year in college at Truman. Marietta (Jonas) Jayne will serve as the Grand Marshall for this year’s Homecoming Parade. 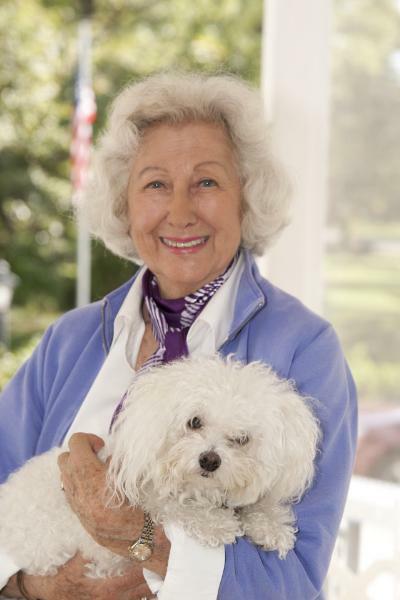 Marietta has spent most of her life as a Kirksville resident. A 1941 alumna, she and the late Edward R. Jayne have the distinction of being the only husband-and-wife team to serve full terms on Truman’s Board of Regents (now Board of Governors), albeit at different times. They have three sons, Edward, Martin and Thomas. Marietta attended Gulf Park College in Gulfport, Miss., and received an Associate of Arts degree in 1940. She graduated from Northeast Missouri State Teachers College in 1941 with a Bachelor of Arts degree. The following year, she graduated from the University of Missouri with a Bachelor of Science in secondary education. From 1942 to 1944, Marietta taught social science in the Kirksville Junior High School. After her marriage to Edward in 1943, she resigned from the junior high and served as a substitute teacher until 1960, when she was elected to the Kirksville Board of Education, a position she held until 1972. For 11 out of the 12 years she served, Marietta was the only woman on the school board. She also served four years as board president. Marietta was appointed to the Board of Regents at Truman in 1977, and she currently serves as a member of the Northeast Missouri Regional Committee for Truman’s “Bright Minds Bright Futures” campaign. In 1983, Marietta was named to the 9th District Academy Advisory Committee, which made the selection of 9th District high school students for nominations to the Air Force, Naval, Military and Merchant Marine academies. In the early 1990s, she was on the committee to determine the need for a name change at Truman, then Northeast Missouri State University. Marietta is a third-generation member of the Sojourners Public Library Board, a women’s literary and service organization founded in 1897 by people who were sojourning in Kirksville while receiving osteopathic treatment at the American School of Osteopathy. She is chair of the Adair County Friends of the Library Board and also serves on the Bright Flight committee and scholarship committee for her sorority, Kappa Kappa Gamma. Marietta has volunteered for the Red Cross Blood Drive and Northeast Regional Medical Center and was involved in the Parent Teachers Association and the Daughters of the American Revolution. She has also served as a Cub Scout leader and on the advisory committee for Kirksville’s new Senior Living Campus. In 2003, Marietta received the Mayor’s Public Service Award presented by the mayor of Kirksville. In 2010, she was honored with the A.T. Still Spirit Award, which recognizes individuals who volunteer their time and energy toward making northeast Missouri a better place to live and work. A new outdoor sculpture funded by a combination of an outright gift from Margarita Heisserer and a gift in kind from Larry and Candy Young now adorns the Truman campus. 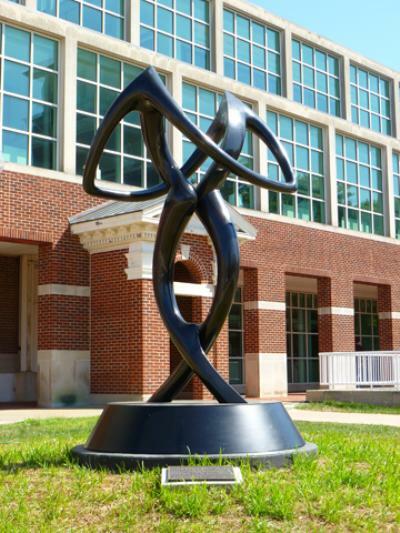 “The Dance,” a 10-foot bronze sculpture, was created by Larry Young, a nationally known artist who blends contemporary forms with classical compositions that capture the human spirit. Heisserer, assistant vice president for academic affairs from 1979 to 1992, and Candy Young, professor of political science at Truman since 1980, share a common bond tied to a critical turning point in the University’s history. Both were working for Truman during the mid-1980s when the institution’s mission was changed from a regional comprehensive university to a statewide public liberal arts and sciences university. Larry specializes in bronze pieces and has placed more than 50 monumental outdoor sculptures. In addition to being an artist, Larry is a two-time Olympic medalist in long-distance racewalking. He has always been fascinated with both ballet and modern dance. Larry and Candy danced together in a touring dance group when they were students at Columbia College. “Just as dance has been central to our lives, it has also been a recurring theme in my sculpture,” Larry said. “The Dance” was originally created at 18 inches in 1977. Larry enlarged the model of the sculpture to 10 feet in water-based clay using techniques he learned in Italy. He then made a multiple-piece mold of the clay. “The Dance” was cast in 14 separate sections that were then welded together to complete the sculpture. “The Dance” was installed Aug. 13, in a high-traffic area east of the campus fountain between the Student Union Building and the Library Clock Tower. The unveiling ceremony for the sculpture took place Sept. 17 in conjunction with the installation of President Troy D. Paino. This gift is part of the “Bright Minds Bright Futures” campaign, Truman State University’s $30 million fundraising effort. More than $24.5 million in gifts and future commitments had been made to the campaign as of September 2010. The Truman Speech and Debate Team traveled the weekend of Oct. 1 to Illinois State University, the site of the 2011 National Championship Tournament scheduled for April. As a warm-up to this event, the university conducted an invitational comprising of two tournaments in one weekend. Truman went up against such speech and debate powerhouse teams as Western Kentucky University, Bradley University and Ohio University. The team brought four individual competitors, including three freshmen, to the event. There was one very promising outcome of the weekend. Junior Andrew Grojean seized the 6th place trophy in varsity persuasive speaking the first half of the tournament. During the second competition he did one better and clinched the 5th place persuasion award. The team will be traveling again at the end of the month to Omaha, Neb., to compete at Creighton University. Students interested in Truman speech and debate can contact Scholten at kscholten@truman.edu. The 2010-2011 Kohlenberg Lyceum Series will continue with a performance by So Percussion at 7:30 p.m. Oct. 19 in Baldwin Auditorium. Since coming together at the Yale School of Music in 1999, So Percussion has been creating music that is at times raucous and touching, barbarous and heartfelt. 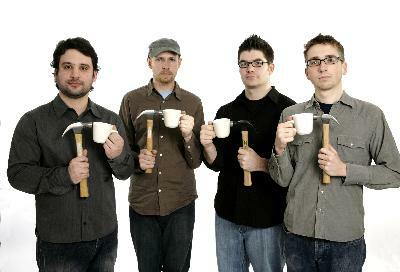 Called “astonishing and entrancing” by Billboard Magazine and “brilliant” by the New York Times, the Brooklyn based quartet’s innovative work with today’s most exciting composers and their own original music has quickly helped them forge a unique and diverse career. Free tickets for students, faculty and staff will be available Oct. 12. Students can pick up their free ticket by presenting a Truman ID at the Student Activities Board Box Office, located in the lower level of the Student Union Building. Faculty and staff can receive their free tickets by showing a Truman ID at the Information Center in the Student Union Building. General admission tickets cost $7 for all ages and are available beginning Oct. 12 at the Truman Cashier’s Window in McClain Hall or downtown at Edna Campbells. For additional information about this or other Kohlenberg Lyceum events, visit http://lyceum.truman.edu or contact the Public Relations Office at 785.4016. 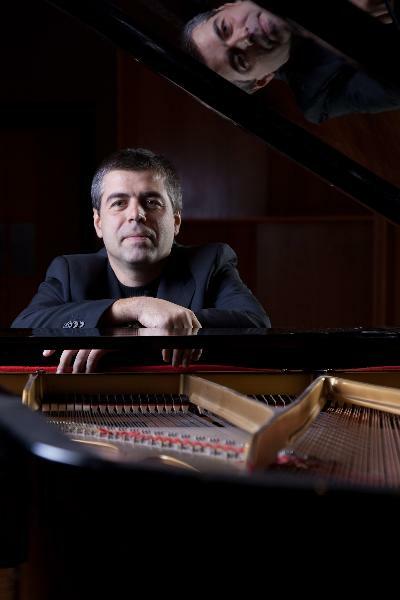 A native of Bulgaria, pianist and new Truman piano faculty member Ilia Radoslavov recently served as one of the judges of the 2010 Seattle International Piano Festival and Competition. This honor came as a result of Radoslavov’s winning of a gold medal in the 2009 competition. This event allowed Radoslavov to promote the Truman music program, network and establish new professional contacts and actively seek opportunities for recruitment. It also provided an opportunity to contribute to the national visibility of Truman and its music program. The Seattle International Piano Festival and Competition invites both local and international pianists to share their talents and diverse musical backgrounds. Unique among competitions around the world, the SIPF encourages pianists of all ages to seek their personal niche and voice, with the freedom to select repertoire without specific requirements. As stated on the official SIPF website, youth, piano students of universities and conservatories, professional pianists and amateur pianists are all invited to compete in the annual competition. All finalists of the 2010 piano competition will have the opportunity to present their music in the Illsley Ball Nordstrom Recital Hall in Benaroya Hall in Seattle, Wash. The Dean of Student Affairs Office is currently preparing for the Who's Who Among Students in American Universities and Colleges. Faculty, staff and administrators are encouraged to nominate students they think deserve this award. This award is available to seniors eligible to graduate in the 2010-2011 Academic Year (December, May, or August) who have at least a 2.75 cumulative grade point average and who have demonstrated leadership with campus or community involvement. Applications are evaluated based on the excellence of the student's academic record; character; breadth and depth of leadership and service to the University and community; and representation of/impact upon Truman. Who's Who recipients will be announced at the end of the fall 2010 semester. A luncheon is held during the spring semester in honor of the recipients and their families. If you wish to nominate one or more students, please submit the names electronically at http://saffairs.truman.edu/web/form_builder2/form_builder.asp?testId=142 by Oct. 29. Please know that students perceive a nomination for Who's Who from a faculty or staff member as an honor in itself. Student ID numbers are appreciated with the nomination. Nominated students will be sent an application inviting them to apply for selection into Who's Who. The students nominated will most likely ask for a letter of recommendation in support of their application. Students must either submit the application electronically or return the completed application, including letter of recommendation, to the Dean of Student Affairs Office in the Student Union Building 3100 by Nov. 29. For more information, contact Brandi Wriedt at 785.5404 (bkeller@truman.edu) or Beth Tuttle-Kral at 785.4111 (bkral@truman.edu). Representatives from the Study Abroad Office and students who have studied abroad recently will be on hand to answer questions. Free and open to all photographers. Entries must include the photo location, the photographer’s name and contact information and a short caption. Submit entries to photo@detoursmagazine.com or mail to Detours Magazine, 100 E. Normal, Kirksville, MO 63501. Entries must be received by Oct. 15. Teams of 8-12, including at least two female members, must register online at http://serve.truman.edu by midnight Oct. 20. Money and canned goods raised at the event will benefit the Central Missouri Food Bank. For more information, call 785.7222 or stop by the SERVE Center. Registration is $10 for teams of 2-4 dancers. Event will feature light refreshments and guest performances from campus dance groups, with prize drawings every hour. Contact jcr3482@truman.edu for more information or to register. Pre-registration is not required but preferred. All proceeds benefit TFA. Do you need extra help with your term paper or research project, such as refining your topic or locating useful and appropriate sources? Subject librarians are available for RAP (Research Assistance Program) appointments tailored to your specific research need. There are a couple of ways to set up an appointment: from the library’s home page, under ‘Get Help,’ click on ‘Request a RAP Session’ and fill out the online form, call the Reference Desk at 785.4051 or just stop by! WorldNomads.com and the National Geographic Channel are offering a travel photography scholarship. This will give one talented student an opportunity to go on a seven-day assignment with National Geographic photographer Jason Edwards to the Kingdom of Bhutan. The winner will receive $2,000 worth of Pentax photographic equipment and have their best photographs published on National Geographic Channel. Applicants for the scholarship must submit no more than five photos that tell a story about a place they have visited. Visit http://www.worldnomads.com for full application details. The Truman Facebook page provides information about upcoming events, athletics updates, alumni gatherings and recent University news articles. Find Truman on Facebook at http://www.facebook.com/trumanstateuniversity or through the Truman home page at http://www.truman.edu. President Paino and Student Body President Isaac Robinson will host a budget town hall meeting at 7 p.m. Oct. 12 in the Ryle Hall Main Lounge. Students will have the opportunity to hear the latest on the University’s budget crisis and give opinions on how to best solve this problem. Pi Kappa Phi will be selling Ted Drewes' Frozen Custard from 10 a.m.-5 p.m. Oct. 13 on the quad. The cost will be $3 per 8 ounce cup. A Truman Observatory open house will take place from 8-10 p.m. Oct. 13. Visit http://observatory.truman.edu for more information or directions. The Biology Department will sponsor a plant sale from 9 a.m.-4 p.m. Oct. 15 at the University Greenhouse. Plants start at $1. All funds will go towards the greenhouse. Tiffany Lucas will present “Pull yourself together: an HIV-1 accessory gene alters retrovirus assembly” at 12:30 p.m. Oct. 15 in Magruder Hall 1000. Lucas is a Truman alumna and a Ph.D. candidate from the Department of Molecular Microbiology and Immunology at the University of Missouri-Columbia. Refreshments will be served at 12:15 p.m. The University Board of Governors Meeting will take place at 1:30 p.m. Oct. 15 in the Student Union Building Conference Room. The Campus Christian Fellowship will host a fall party from 7-10 p.m. Oct. 15 at the University Farm. The event includes an apple pie bake off, a campfire, games, free candy apples, music and more. The SAB Coffeehouse will feature Plain Pilot and Claire McClain at 7 p.m. Oct. 17 in the Student Union Building HUB. The event will feature free refreshments, including warm beverages and snacks. K-Life will host a 5-on-5 Dodgeball Tournament from 9 a.m.-5 p.m. Nov. 6. Contact sam4125@truman.edu for more information. The 2011 Summer-in-South Asia program will host an informational meeting at 7 p.m. Oct. 25 in the Student Union Building Georgian Room A. The most distinguishing features of the trip are visits to the villages and homes of borrowers of the world-renowned and 2006 Nobel Peace Prize winning Grameen Bank of Bangladesh. Dr. Scott Cooper of the Department of Biology at the University of Wisconsin-La Crosse will present “Why Blood Clotting in Hibernators is Cool” at 12:30 p.m. Oct. 29 in Magruder Hall 1000 as a part of the biology seminar series. Refreshments will be served at 12:15 p.m.